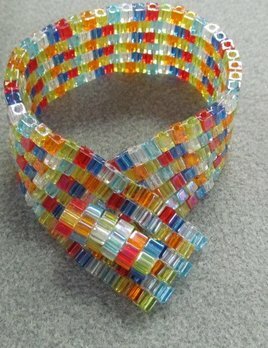 4/09 6-9pm Joy Squared Bracelet Class - Bloomin Beads, Etc. Experience the ease and efficiency of peyote stitching cube beads! 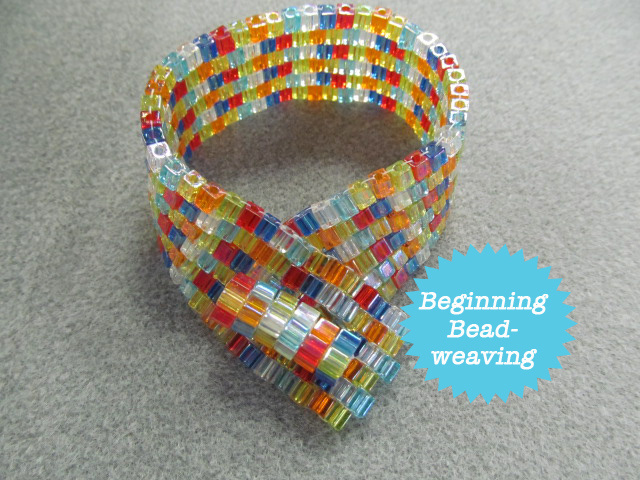 Learn to create a space or intentional “hole” in the beadwork to accommodate a square stitched toggle. This is the first in a series of basic classes that we will be offering. A prerequisite for this class is the Mastering Beadwork book by Carol Cypher, and you must have a copy with you at class time. Many wonderful patterns are included in this book, and it must be purchased separately.